The list of Rio Grande Valley entities that favor forming a joint transportation authority is growing, and gained two major names last week when the Cameron County Commissioners Court and city of Brownsville voted to support taking the first steps toward forming a single Valley Metropolitan Planning Organization. That support, however, carries caveats; officials want to see the creation of bylaws that would govern the combined MPO. But with that go-ahead, whatever legal body is charged with drafting such bylaws should get to work on it. Several of Hidalgo County’s larger cities, including McAllen, already support the idea of a merger. MPOs were created by the Federal Aid Highway Act of 1962 to plan and oversee the use of federal transportation dollars. Some 25 MPOs operate in Texas, three of them in the Valley — Brownsville, Harlingen-San Benito and Hidalgo County. For years many local officials have advocated merging the three into a single entity, which would make it the fifth-largest MPO in the state. And apparently, size equals clout. The advocates say the larger groups get a larger slice of the federal transportation dollars that are allocated to the state; a Texas Department of Transportation analysis estimates a single Valley MPO likely would receive $11 million more per year than the three separate groups currently get. That money would go a long way toward making improvements in an area where storms and floods at times wreak havoc on local roadways. But that money’s not assured, and some officials worry about how it would be allocated. They’re right to be cautious, since once they decide to merge, there’s no going back. 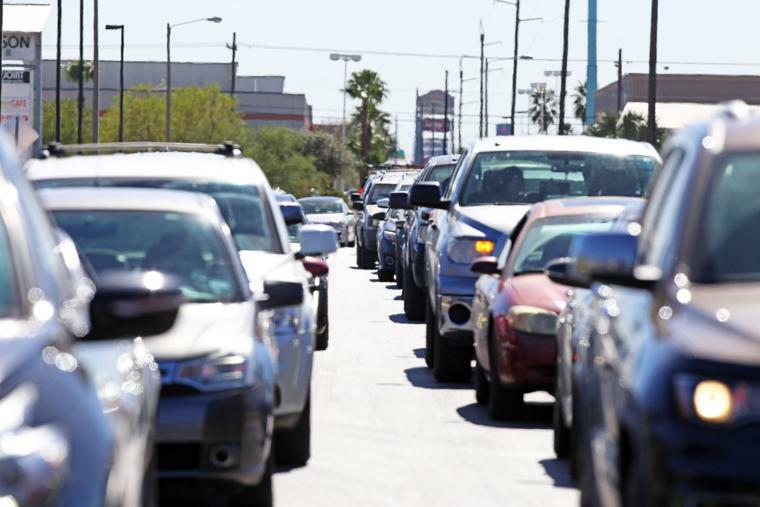 Several Hidalgo County communities already favor the merger, and the addition of two of Cameron County’s largest governments should be enough incentive for the preliminary work to begin — namely, the preparation of bylaws that would govern the new MPO. Once such a document is in hand, support for the merger might grow — at least, officials can begin negotiating the details and refine the bylaws into something that most if not all members can accept. Each MPO has its own governing board, containing representatives of the political bodies in its jurisdiction. It will take a vote of enough of those officials to represent 75 percent of the population within the MPO to decide its fate. Brownsville probably is large enough to control its MPO’s fate, but it might not be so easy for the other two Valley bodies. Nine municipalities have voting members in the Harlingen-San Benito MPO; Hidalgo County’s has 22. But even with the largest entities offering at least preliminary support, the deal is far from done. Bylaws must be drafted, making sure they abide by the section in the Code of Federal Regulations that oversee MPOs. If enough members in all three bodies accept the new bylaws and approve the merger, they then must send a letter to the governor’s office asking for the redesignation. One local MPO official said that since the issue has been on the table for years, Gov. Greg Abbott probably would expedite the redesignation. But with millions of dollars at stake — billions, over time — officials should not rush the process. They should take the necessary time to create bylaws that meet all legal requirements and is equitable enough to garner the greatest support among the communities that will be affected. Still, the sooner they start, the sooner they can resolve this matter that has been on the table for several years already.